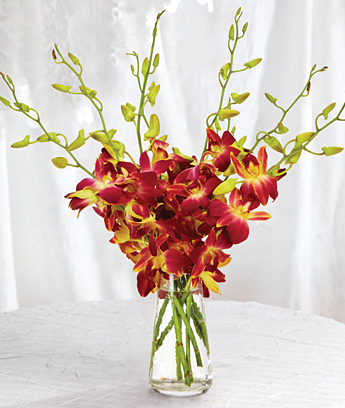 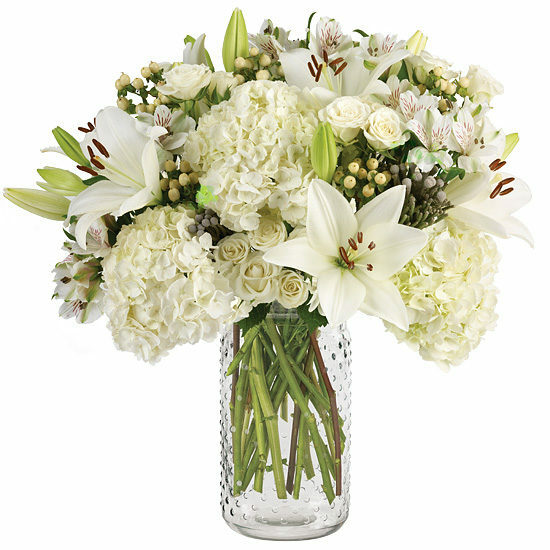 Birthday parties, special anniversaries and more, this incredibly elegant bouquet of beautiful blooms celebrates all of life’s occasions in stunning style. 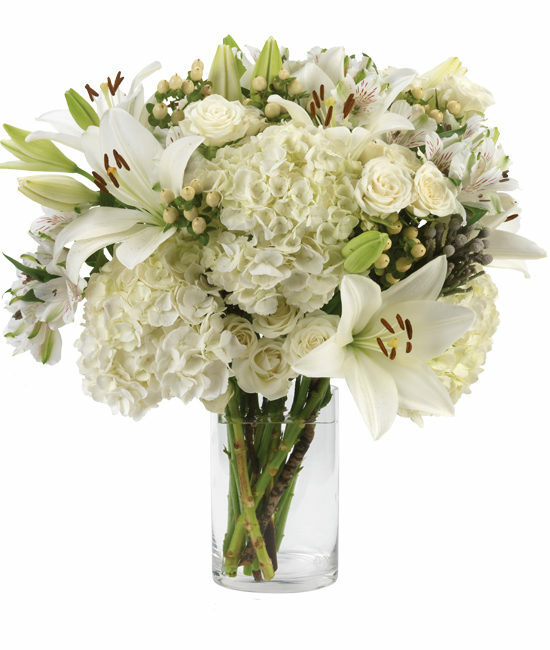 We gathered together the most impressive varieties in stunning white – billowy hydrangeas, pristine white spray roses, white Asiatic lilies, white alstroemeria, and vanilla hypericum berries. 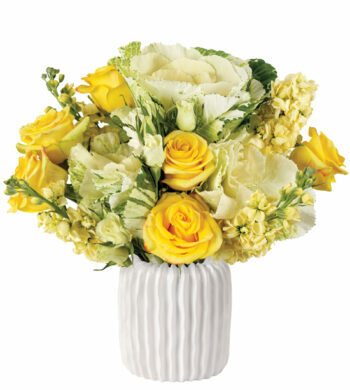 Just a hint of silver with brunia to make the bouquet shine, all displayed in a cylinder clear glass vase.